Vanguard News Network » Blog Archive » Why No Ban on Air Travel from Africa? Why No Ban on Air Travel from Africa? Common sense in America? That’s long gone. It’s a new America today: America-the-sitcom. Open borders is good for jews, because jews are basically an international crime family, and they need to run from the law sometimes. Doesn’t matter what open borders does to you. Got banned from posting comments at Infowars website. 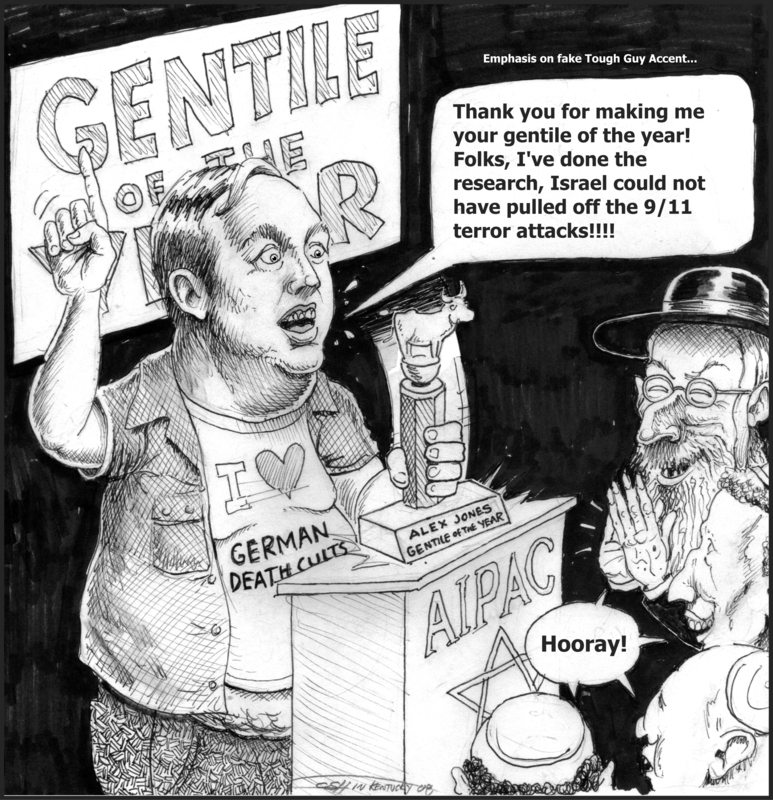 Guess they don’t like comments that point the finger at Zionism. Go to hell, Alex Jones. Walter, avoid those blight-wing patriotard websites. Those jerks/fools/cowards/flakes/snitches are not on the side of racially-conscious, Jew-wise White people. Why not post a few comments on the youtube link provided? I have. Can you guess which comments are mine? I believe Alex Jones is married to a Jew. If that be true, you can bet his kids are raised in the Jewish tradition. He’s a con man. You nailed it, fd. Is “Alex Jones” even his real name? And what about that fake, gravelly, pro wrestler voice and tough-guy persona of his? He’s a little rolly-polly loudmouth with a gimmick and a Jewess for a wife. His kids are mishclinge and will be raised as Jews. Keep away from him and his kind. Alex Jones is a zero. The office of White history will reduce the reputation of the so – called greatest country in the world, styled America. A megalomaniac, leviathan government that essayed a new code of international warfare, achieving much bad notoriety along the way. A government that can exist only by perpetual war. A government that will gleefully kill the people it pretends to protect. You brought up some interesting points, Tim McGreen. Jones does have a gravel voice and likes to talk tough. I bet he has a Jew cap in the closet. And his name is the kind a celebrity would choose. Severe revolution will drive Jones underground. What would he say to the man placing a Confederate rope around his neck: oy vey–enough of the rope already. 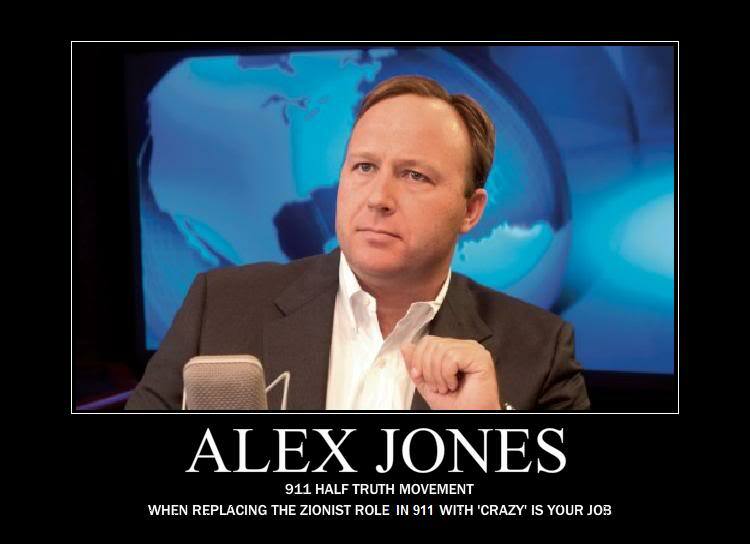 Alex Jones = Aaron Jacobstein? Abraham Javitz? Or just a gentile shill for Uncle Shmuley? Thanks for the support. I won’t even visit that website anymore. Arabs own our media, yeah right Alex Jones. Fox News ran a poll on what states should be forced out of the union. First of all, ‘union’ is a euphemism for federal supremacy/forced alliance/consolidated despotism. Anyway, California won the honors followed by New York, Texas and Florida. There’s a lot of good people in California. Upstate New York has good people too. Large portions of Texas is filled with heavily armed White people. A perfect state for base camps to support resistance. North and central Florida has formidable racists groups. These polls are political. The results remind me of the 10 best presidents who are majority pro North; the 10 worst presidents are majority pro South. Which ever way the whiskey bottle falls. All of the original Confederate states should be allowed to leave the Union peacefully, including the so-called border states of Kentucky, West Virginia and Missouri. Maryland can stay with the Union if it wants to. The South doesn’t need Baltimore anyway. Most of the West can be returned to the Injuns provided they don’t cause any trouble. The spics can have New Mexico back, we don’t need it for anything. California, Washington State and Oregon are Union states. Alaska can be given back to the Russians or to the caribou, it doesn’t matter to me. Hawaii, Puerto Rico, Guam and all those other crappy tropical islands can have their so-called independence, although they will always have to rely on White tourism for most of their revenue. Tim McGreen. you left out Delaware. It was a border state too. New Mexico and Arizona both would probably escape the Federal government at first chance. I don’t think the Federals could stomach looking across the Potomac seeing old Virginia free. Virginia supplied more food, clothing, war appliances, blood, money and ships than any state during the Revolutionary War which Revilo P. Oliver insisted was the only civil war fought on this continent. I didn’t know Delaware was considered a border state. I mean, it’s right across the bay from New Jersey and just down the road from Niggerdelphia! Imagine if the Rebels managed to gain a foothold that close to the major cities of the North. It is good to know, however, that there was a lot of pro-Southern support in, of all places, New York City. The old manufacturing cities of New England were strong supporters of the Union and enthusiastically produced lots of goods for its war-effort. But look at those same cities today. They’re over-run with coloreds, crime and poverty; A fitting punishment.